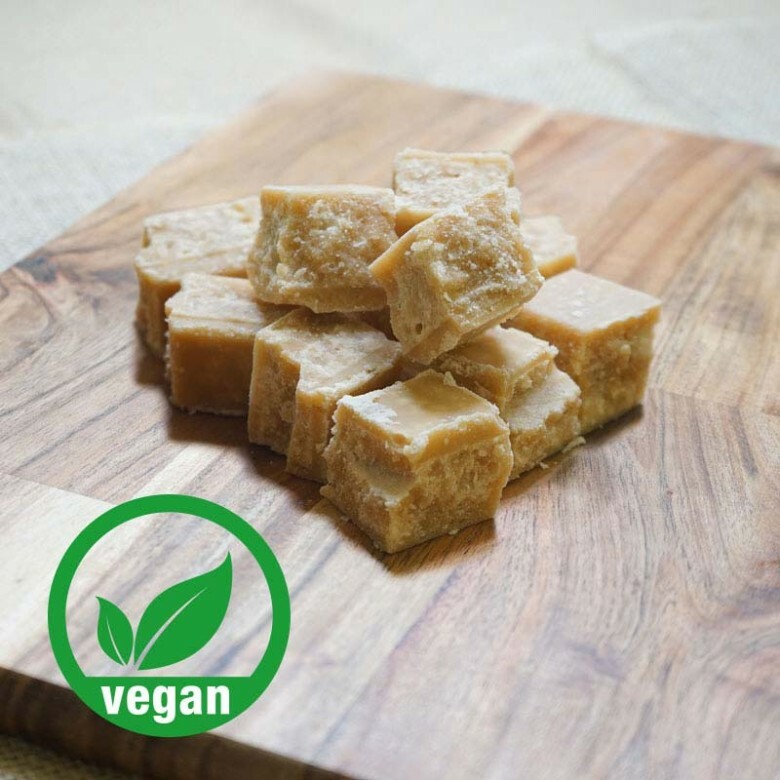 Grainy sugary and crumbly melt in your mouth vegan fudge, completely dairy free and completely delicious. Ingredients list: sugar, almond milk, glucose syrup, vegetable oil, salt, flavourings. Vegan Crumbly Fudge is available in two sizes, a 150 gram bag or 450 gram box.